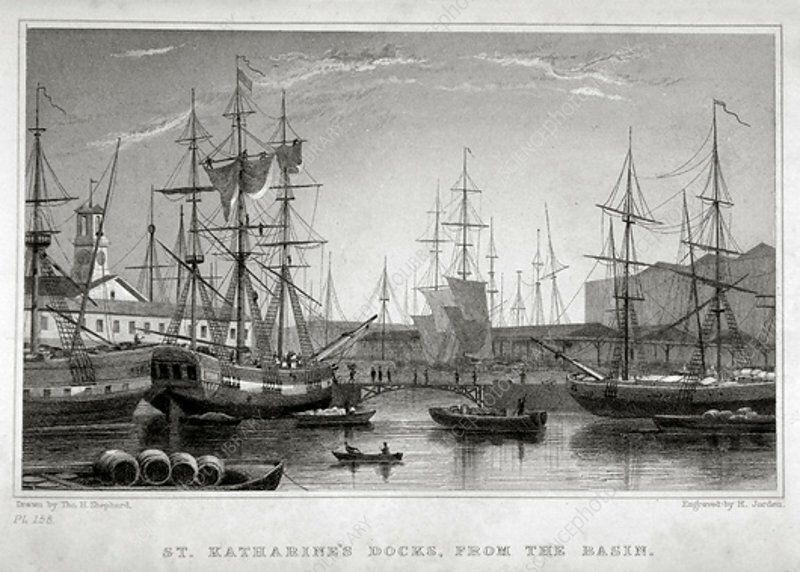 View of St Katharine's Dock from the basin, London, c1830. The docks opened in October 1828. They were the only major project to be undertaken in London by the famous engineer Thomas Telford.